Car fans from all over the country flocked to the Los Angeles Auto Show from December 1 to December 10 to learn more about Acura, and more generally to witness firsthand broader trends in the automotive industry. What do 21st century drivers want, and how is Acura paving the way for other automotive manufacturers to follow? Where is the automotive industry headed? For the interested driver in the Salt Lake City and Provo areas, read more below. 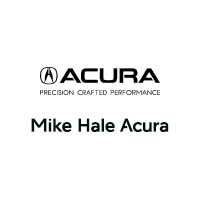 Mike Hale Acura will provide you with the latest information about Acura and the larger automotive industry. A vehicle that wowed super car enthusiasts when it first made its appearance the United States market in 1990, the Acura NSX has continued to impress drivers in Murray and beyond; after all, that’s why Mike Hale Acura has the coveted 2017 Acura NSX in stock. So when Acura unveiled its newest version of the NSX – this version, like the 2017 Acura NSX, is a hybrid vehicle – L.A. Auto Show attendees were impressed by the blending of sports car aesthetics, fine-tuned design – from the vehicle’s ultra-rigid space frame, to the fact that each Acura NSX is individually painted and hand-finished – and reliable engineering that’s made Acura internationally famous. What’s New in the Acura NSX? The newest version of the Acura NSX is, indeed, a hybrid! But don’t let the fact that this super car is a hybrid lead you to believe that the new Acura NSX is an underwhelming ride, or that it doesn’t deliver powerful sports car performance comparable to – or superior to – other vehicles in the sports car segment. The new Acura NSX dons three electric motors; one electric motor for the rear two wheels, and one electric motor per each front wheel, all of which work with Acura’s muscular twin-turbo V-6 engine. Impressively, this hot hybrid puts out over 500 hp, and goes from 0 to 60 MPH in about 3.0 seconds. Ordinarily, sports cars deliver impressive performance specs while compromising fuel efficiency. But what makes the Acura NSX so unique is precisely its hybrid status. The new Acura NSX shows drivers from Salt Lake City to Sarasota that a sports car can be, after all, a fuel efficient one. How is Acura Innovating the Automotive Market? As the Acura NSX is an economical sports car, drivers can expect that traditionally gas-guzzling segments of the automotive market – pickups, service vehicles, and supercharged vehicles – may become more fuel-efficient, through hybrid or purely electric technologies. In addition, you may find the innovations Acura’s made with the NSX appear in Acura’s less sportier vehicles, such as the Acura ILX and Acura RLX. Where is an Acura NSX Near Me? If you’re looking forward to getting behind the wheel of the Acura NSX, check out our 2017 Acura NSX at Mike Hale Acura in Murray. We offer competitive leasing and financing offers, and our friendly staff will make you feel at home. For further questions about latest Acura news, contact us today.